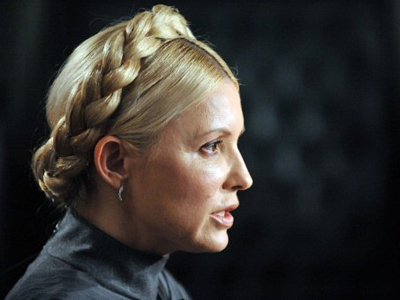 An unknown illness has reportedly stuck Yulia Tymoshenko, who is accused of causing damage to the Ukraine’s economy. Former Ukrainian Prime Minister refuses to be examined by a medical commission and demands her personal doctor. ­Tymoshenko, who is currently held in a pre-trial detention facility, complained in court about a deterioration in her health on August 18. The next hearing is scheduled for August 22. 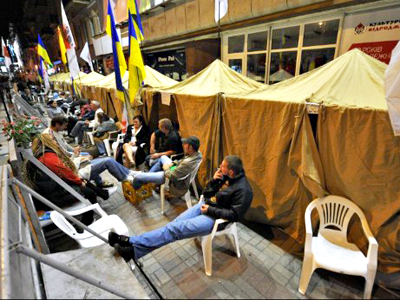 "The court took a break until 9:30 on Monday,” Tymoshenko’s defense lawyer Yuriy Sukhov said. “This break is necessary in order for Yulia Tymoshenko to undergo a medical examination. Yulia Tymoshenko insisted on her personal doctor, but they didn’t give permission for him to examine her. We filed the request yesterday to allow her doctor to see her. As of today, there as been no response from the court," he explained. No details have been released about her symptoms. According to Tymoshenko’s attorney, she is unable to identify her illness without medical help. "She’s never had this before. She just feels ill – that’s all," Sukhov said. But according to Tymoshenko’s press-person, she is extremely unwell and her body is covered with bruises. After Tymoshenko complained about her health problems, the court sent a Health Ministry commission to the pre-trial detention facility to examine the former PM, but Tymoshenko refused to allow it. Her lawyer said that his client demands that her own family doctor attend to take blood tests to determine the reason for her worsening health. According to information on Tymoshenko's official website, her personal doctor came to the court on Friday at the request of members of parliament, but the judge did not allow him to see to see the defendant during or after the court session. The European Union has expressed concern about reports that Tymoshenko may be ill and called on Kiev to provide her with adequate and independent medical care. "We are concerned also by the reports that [Tymoshenko's] health has deteriorated, and we urge the Ukrainian authorities to ensure a timely and independent medical examination and professional medical care as appropriate," EU foreign policy spokesman Michael Mann told reporters in Brussels, a day after Tymoshenko complained of illness. 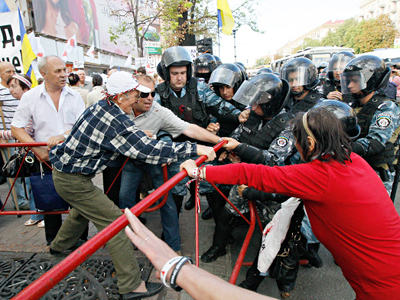 No big deal for Tymoshenko?